There are several education hot topics that will change the way information is delivered to the learner and how the learner uses that information. In the past, the teacher stood at the front of the classroom and lectured or taught. The student took notes, memorized and repeated the information on a test. This system worked great for an era in which a person simply needed to follow a manual to operate a machine, fill out business forms correctly or answer a phone professionally. In the new century, teachers are educating students for jobs that don’t exist yet that will require new skills that even society isn’t aware of yet. There are several innovations that have come into play that have changed the face of education, how information is delivered and how that information is used forever. Since the introduction of the low cost laptop and net book, students have become more digital each year. With the release of the iPad, which allows the end user to search, word process, develop and present presentations with slides, videos, sound and interaction, the format of teaching a class is forever changed. With the accessibility of the iPad, the teacher is no longer expected to be the expert on every subject presented in the classroom. Using Skye and technology, the student now has access to an expert that may physically be half way around the world but for the hour will be right in the classroom engaged in face-to-face interaction with the students. The teacher has become the facilitator of information and is no longer the only expert. This will drive independent learning among students, allowing for collaboration outside the school walls and bring a global perspective into the classroom at a level never before possible. Working in conjunction with technology, one of the newest education hot topics is the release of etextbooks. While etextbooks have been available recently for college classes, Google has introduced online etextbooks for public primary and secondary schools. This not only decreases the cost of books for the school but also allows each teacher to custom pick the textbook used in the classroom. Etextbooks are an average of 60% less to buy than a traditional book; the cost drops even more if the student rents the textbook for the class. What are etextbooks? 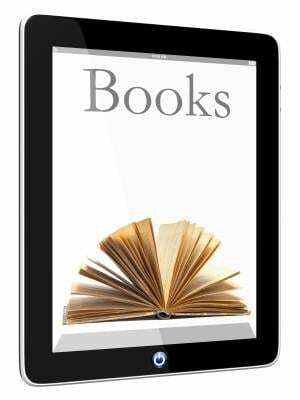 Etextbooks are electronic textbooks that can be loaded onto a reader, iPad, iPod Touch or a laptop/desktop for use by the student. Often they come with extra features such as pictures of subject matter in a 3 D format and allow the user to perform high-speed searches, take electronic notes and if needed a student can print out pages as needed. Etextbooks significantly lowers the cost of education. Google etextbooks has an entire book list that is available free to students, teachers, and the general public. This allows teachers to choose a book for the class to read, embed the book on the class website and incur no book cost to the department. The advent and use of etextbooks in conjunction with new technology are some education hot topics that have truly changed how students are taught and how students will learn in this century.